JLR India's online car buying platforms – findmeacar.in (for Jaguar) and findmeasuv.in (for Land Rover) – receive feature updates and an easier navigation interface. There's no doubt that the modern-day car buying experience involves digital media platforms to a great extent. Therefore, premium carmakers are leaving no stone unturned when it comes to providing a digital product buying experience to their customers. As a move to keep up with the ever-changing digital scene, JLR India has given its online car buying platforms some crucial interface and featural updates. 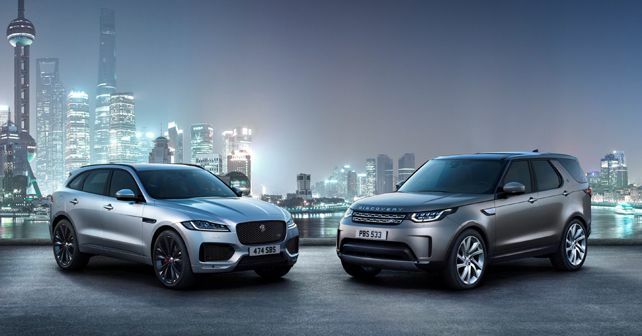 First launched in 2016, the two bespoke platforms started the trend of online vehicle booking in the luxury car industry, allowing customers to book new or pre-owned (JLR Approved) vehicles online by paying a deposit from anywhere and at any time. The platforms also enable customers to request for a quotation or book a test drive. With the latest-gen updates, both platforms now offer more user-friendly navigation, a cleaner and more dynamic homepage with a swipe-based carousel that highlights the month’s packages and special offers. Customers can select their vehicle from a variety of filters – Model, Variant and Engine, Price, Colour and Availability during a specific period. Further, customers can either opt for a ready-delivery vehicle or order one for delivery at a later date. The platform also offers an option for existing JLR customers to offer their existing vehicle for a trade-in and get an evaluation quote (estimate) if it meets the applicable JLR criteria. Customers can also contact the dealership for a visiting appointment via a customer care executive or through online chat.